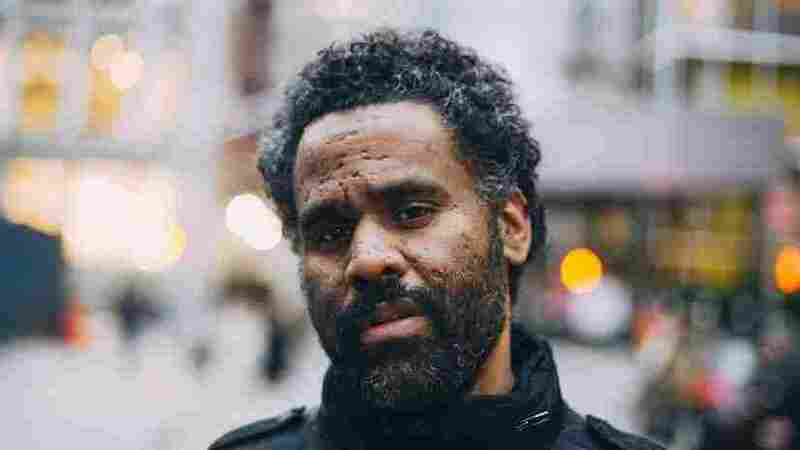 Netflix Banks On Hip-Hop's Mass Appeal With 'Rapture' : The Record The streaming giant hooks up with another veteran hip-hop journalist in Sacha Jenkins to add to its expanding roster of rap-related explorations. Sacha Jenkins adds the docuseries Rapture to his 30-year career covering hip-hop. Sacha Jenkins was just a nine-year-old kid coming of age in Queens, New York when Blondie's "Rapture" broke big in 1981. An early harbinger of hip-hop's crossover appeal, it became the first song featuring rap vocals to reach the top of the Billboard Hot 100. Today, rap regularly owns the top 10 and Jenkins, an O.G. even among the original generation of hip-hop journalists, has been documenting the culture from the inside out since its golden era. His latest contribution is an eight-part Netflix docuseries titled Rapture, executive produced in part by Jenkins, that offers deep-dive profiles on contemporary artists including Rapsody, G-Eazy, T.I. and Dave East. More than coincidence, Rapture feels like a fitting title for a series that sets out to capture how this nascent New York subculture has become a dominant cultural force, in America and beyond. Increasingly, it's mainstream media that's doing the crossing over. Coming on the heels of rap's explosive takeover as the most-consumed genre in the U.S., the new series proves that music streaming services like Spotify aren't the only platforms positioning themselves to profit from the newly crowned content king. 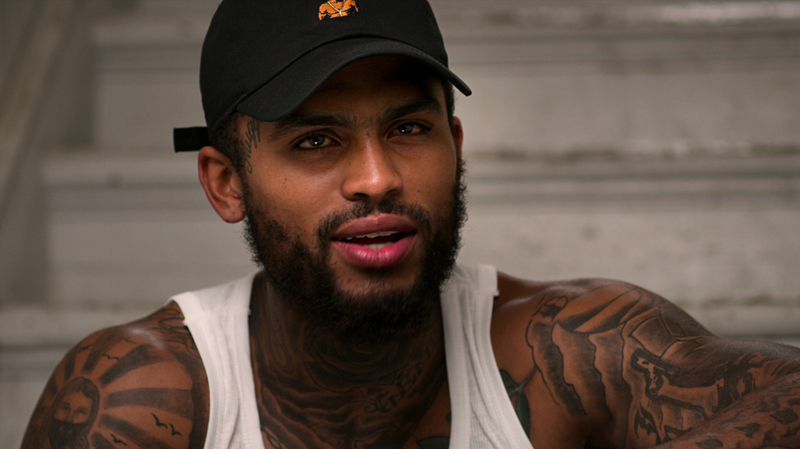 Dave East serves as contemporary counterpoint to his mentor Nas in an episode of Rapture. For Jenkins, though, "telling these stories is more than a commission" or a paycheck, he tells NPR Music. "This is something I'm very passionate about." He's part of an early hip-hop vanguard that has taken the culture from print magazines to multimedia platforms. After launching a couple of bellwether hip-hop publications, including a graf zine Graphic Scenes & Xplicit Language in 1988 and the short-lived hip-hop newspaper Beat Down in 1992, Jenkins co-founded the influential magazine ego trip with Elliott Wilson, Jeff "Chairman" Mao and Henry Chalfant in 1994. The rap mag with the smart, sardonic point of view only lasted as a periodical for about four years, but the franchise continued with a list of book titles (ego trip's Book of Rap Lists, ego trip's Big Book of Racism) and tongue-in-cheek VH1 reality-show competitions (2007's "The White Rapper Show, 2008's "Miss Rap Supreme) that subversively highlighted the politics of performance around race, gender and identity in hip-hop. After Jenkins' premiered his directorial debut — Mass Appeal's 2015 documentary Fresh Dressed, which chronicles hip-hop's sartorial come-up — at Sundance, it aired on CNN and got picked up by Netflix. That opened the door for him to pitch the streaming giant more projects. But it was important to Jenkins that whatever he did bear the mark of authenticity. 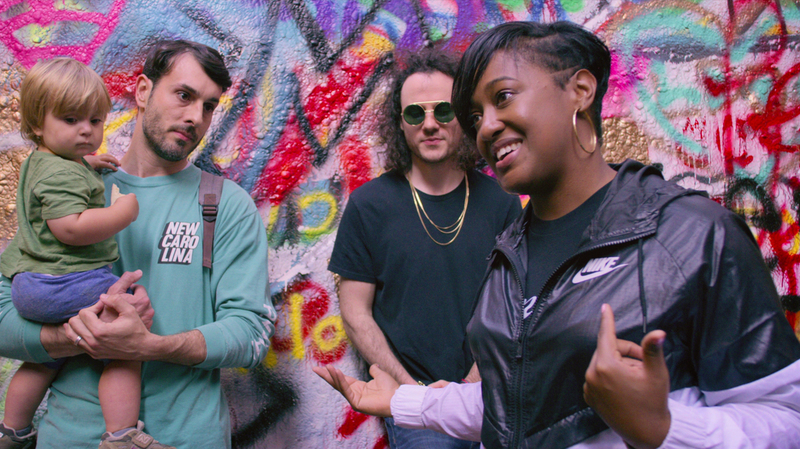 Rapsody's rise is documented in Netflix's newest hip-hop docuseries. "It's easy to just get caught up in the music and the beats and ignore where it comes from," he says, breaking down his motivation behind Rapture, produced in conjunction with Mass Appeal, the hip-hop magazine, label and agency in which Nas — also profiled in the series — shares an ownership stake and where Jenkins serves as chief creative officer. "It's easy to sort of just treat it like candy. But, for me, to understand hip-hop is to understand the culture and climate from which it comes, because hip-hop is a reflection of the environment." In each hour-long episode, Rapture uses access — the kind music journalists enjoyed when, instead of Twitter rants, artists relied on in-depth interviews to interface with fans — to add context to some of rap's most compelling and emergent artists. Days after 2 Chainz literally breaks a leg in the run-up to his Pretty Girls Like Trap Music tour, Rapture shows him turn lemons to pink lemonade with a matching wheelchair. Logic tells the story of his interracial upbringing, raised by a father who abused crack and a mother who rarely spared the rod. An episode shot by Jenkins tells the intergenerational hip-hop story of two Queens-bred artists — Nas and his protege, Mass Appeal signee Dave East — on opposite ends of their respective journeys. 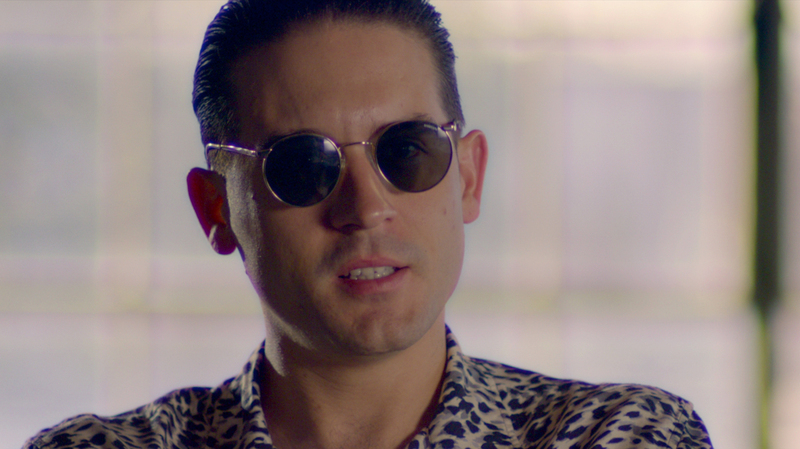 G-Eazy takes his tour to South America in an episode of Rapture. As a series focused on hip-hop's widespread dissemination, Rapture's scope in profile subjects is equally expansive. Episodes on white Oakland-bred rapper G-Eazy, notable producer Just Blaze and Bronx upstart A Boogie Wit Da Hoodie round out the season. It's the latest in a small but steady ramping up of hip-hop content on Netflix. Despite the company's decision to cancel director Baz Luhrmann's ambitious — and expensive, at a reported $10 million an episode — period series, The Get Down, after one season, hip-hop remains a major focus of its original music programming. Netflix would not reveal to NPR Music how much it paid to acquire Rapture, but the company plans to spend $8 billion overall this year on original movies and series, according to Forbes. With Rapture, Jenkins joins a couple of his former Vibe contemporaries also creating content for Netflix. Cheo Coker, who wrote the magazine's definitive Notorious B.I.G. cover stories, serves as the showrunner behind Netflix's hip-hop inspired Luke Cage series. Mimi Valdes, a former editor-in-chief and current creative director of Pharrell's i am OTHER multimedia house, recently co-produced the Roxanne Roxanne biopic on hip-hop pioneer Roxanne Shante that premiered on Netflix. Hip-Hop Evolution, another Netflix docuseries that chronicles the genre's history, has been picked up for multiple seasons following the first, which originally premiered on HBO Canada. While hip-hop's cultural pervasiveness continues to expand the pool of prospective rap talent far beyond artists of color, it has also opened up more opportunity for voices originating from within the culture. "Today, I think there's a much stronger representation of folks who are native to the culture — who grew up with it, who have family members who are artists, or just have a more intimate relationship with it. And that brings a lot of value to the storytelling and the ability to bring nuances that other people might have missed," says Jenkins. But he also believes that the increased demand for content does not always make way for high quality, especially in the journalistic age of hot takes. "Because there's always this rush to get content up quickly, sometimes there isn't that immersion and that depth you'd really want. There's just so much competition and very little time to get something to simmer and let it cook and be something special." It's what makes Rapture something of a throwback to the first wave of hip-hop journalism, when documenting the culture was about providing context more than churning out content. Netflix's deal with Jenkins — and other peers of his era — feels like the rare opportunity to offer both. The Record was a NPR blog that ran from 2010 to 2018. The Record is the ongoing story of how people find, make, buy, share and talk about music. The story of why we're here and what we're doing is covered in our introductory essay.